Bottleneck Gallery will be at New York Comic Con 2016 all weekend where they will be releasing an insane amount of exclusives. 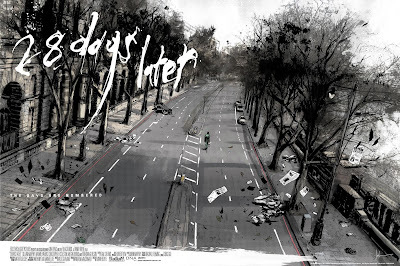 Check out the 28 Days Later movie poster 9 color screen print by Jock! The Regular Edition ($50) measures 36”x24” and is limited to 250 pieces. The Variant is also limited to 250 pieces and retails for $50. Both versions can be purchased at the Bottleneck Gallery NYCC booth #2171.